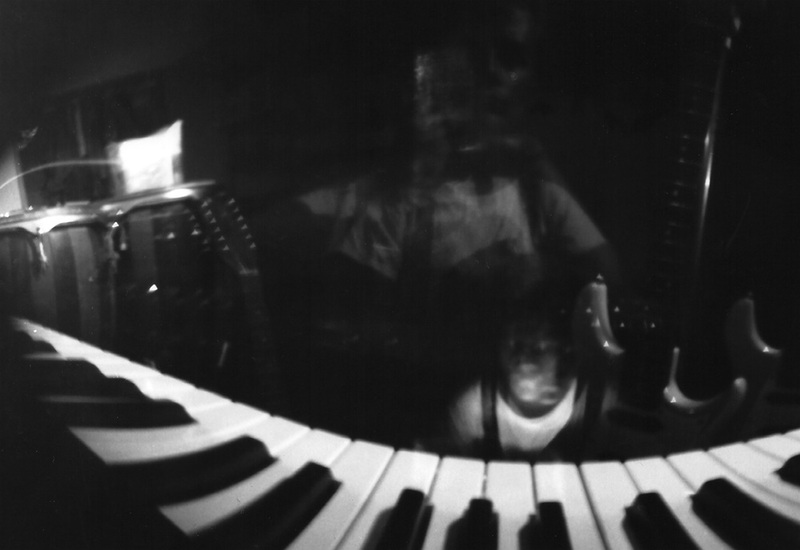 in the beginning i had an electric and an acoustic piano in the house. after working in a cheese factory i could buy an electric guitar and my sister borrowed me her acoustic nylon-string guitar. that's when i started writing songs. i then worked in another factory during other school holidays to buy my first synthesizer. the KORG M1 WORKSTATION. with this instrument you could record patterns and sequence them in the built-in sequencer. that's how all the drum and bass parts on first exercises were programmed. 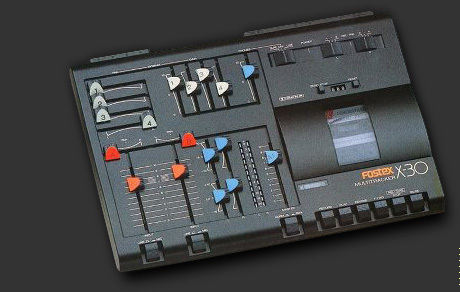 when i newly had aquired my fostex 4-track-cassette-tape-recorder, i was in heaven because i could record several instruments on top of each other for the very first time. a normal cassette-tape is also separated into 4 tracks: left and right forward and left and right backwards. normaly you would turn the cassette over to listen to side B.
with the fostex x-30 multitracker, these 4 tracks could be used in one direction. 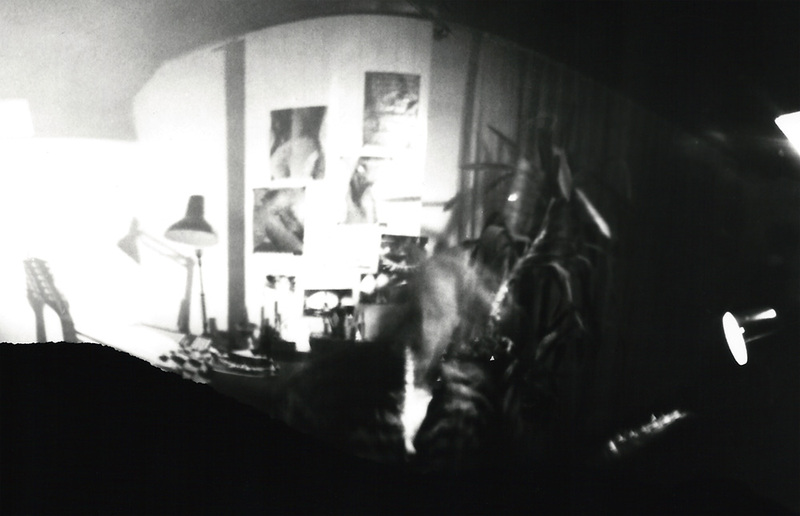 so the tape-head could play and record 4 individual tracks which could be set in the panorama from left to right, wherever one chooses them to be. so, with this gadget, i recorded all of first exercises - up until the song my stranger (1991). there was no computer in the game. Normaler Stereo Tonkopf mit 4 Spuren. let's say we have recorded track 1 and 2 with the left and right output of my Korg M1. this is, for example, the programmed drums and bass and maybe some synths. so track 1 and 2 together are a stereo pair. track 3 and 4 are empty. 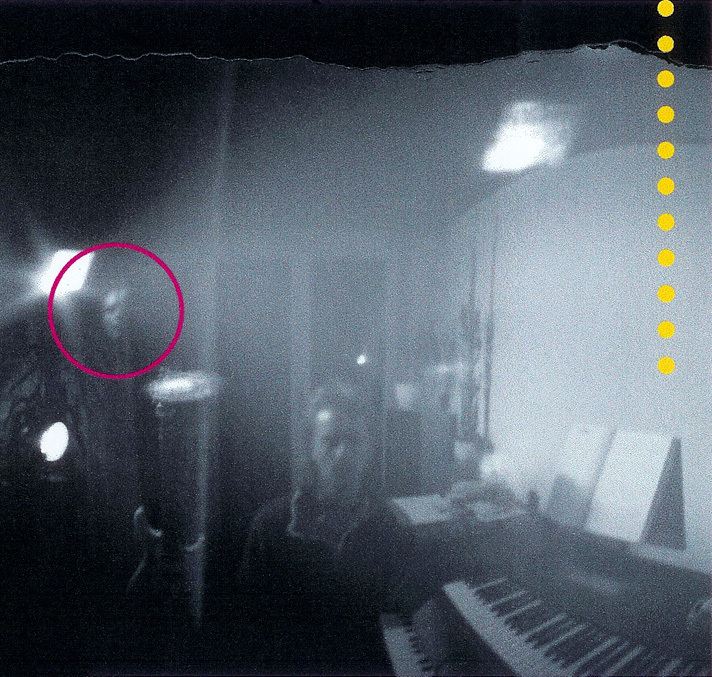 i then would record a guitar onto track 3. so now there's only one track left, which is empty: track 4. in order to gain more tracks i had to mix the guitar, track 3 with the left channel, track 1 onto the empty track 4. so, once the left channel was mixed with guitar, track 1 became obsolete. i then had to overwrite track 1 with the mixture of track 2 (right) and the guitar, track 3.
so now i had two tracks with the guitar mixed in: track 4 (left) and track 1 (right) they made now the new stereo-pair and i could record another instrument onto track 2 or 3.
no computer but the fostex x-30 4-track-cassette-tape-recorder. in this drudgingly laborious and elaborate fashion i could record up to 12 tracks on top of each other. sometimes the quality got really bad because something didn't work right as on rats or my stranger. you had to work absolutely focussed to not accidentally erase the wrong track. of course that also happened once. you can hear it right at the beginning of masquerade, where there is a small dropout for a short period of time which i tried to mask with some beats on the conga. if you want to know more about the subject, click here for a general history of multitrack recording. the original cover for the music cassette was a black photocopy on grey paper, printed on both sides. i included the lyrics in english and german. so it was a very long fold-out which hardly left any space for the cassette itself when folded together and squeezed in. i dropped my real name and adopted the moniker T-ACHE eversince. 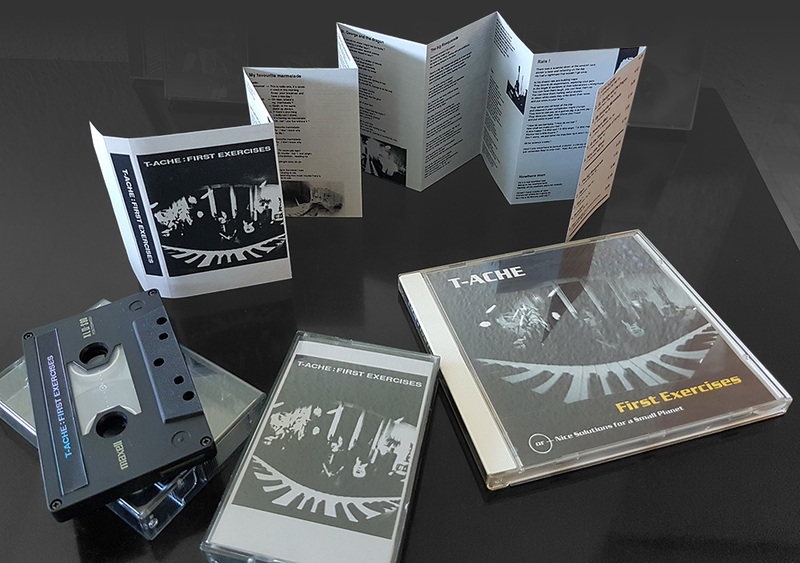 The cassette was released 1990 and I could sell about 50 pieces for 10 CHF. 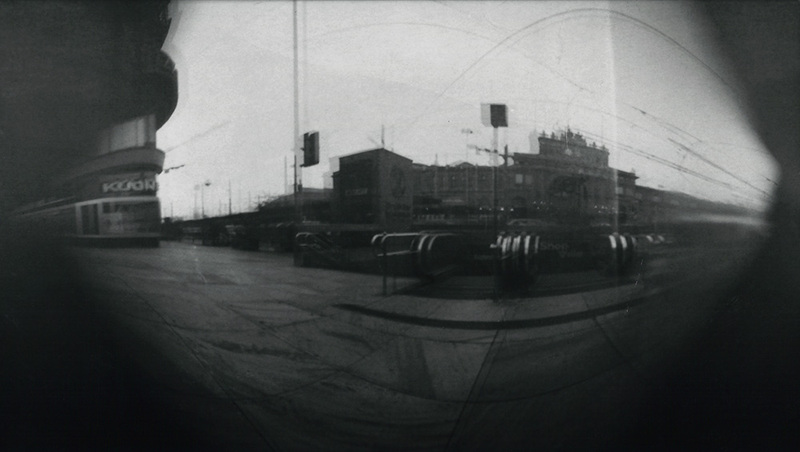 the photographs were made with a self-built camera. a camera obscura. it's basically a light-proof can (ovomaltine) with a hole in it. the hole had to have sharp edges. so i took three razor-blades and crossed them to a tiny triangle. one can see in the photos, that the highlights or light-points are small triangles, because the lens was a triangle. inside the camera everything had to be painted black to prevent light reflections inside the can. The camera obscura with the triangle-shaped lens. Triangle-shaped light-points with instruments and faces. 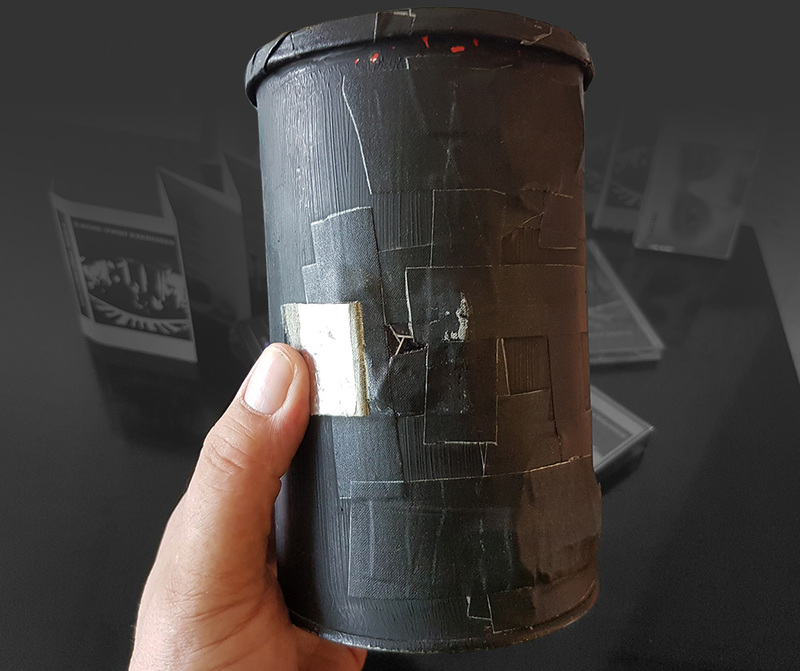 the preparation: in the darkroom you had to carefully place the photopaper on the right spot inside the can and close the lids so that the can was absolutely light-proof. then, at the place were you wanted to take the photo, you had to carefully open the lid and wait for an hour or so, depending on the light-situation. The fish-eye-distortion comes from the fact that the can has a cylindrical shape. if you have an exposure-time of an hour or so, the people in motion do not appear on the photograph. The following picture was taken during rush hour at the zurich main station. there's not even a smear even though there were so many people that you could hardly see the floor while taking the picture. The double exposure happened accidently because the lid closed itself and i had to fix it and moved the camera a little while doing so. Hauptbahnhof Zürich, 17:30 Uhr, keine Menschen sichtbar. Eine runde Ovi-Büchse, in der Dunkelkammer mit Fotipapier beladen.